I am not proud of this. But in my early days in Switzerland, I have made the common rookie error of mistaking Zürich as the Swiss capital - in the place of Bern. 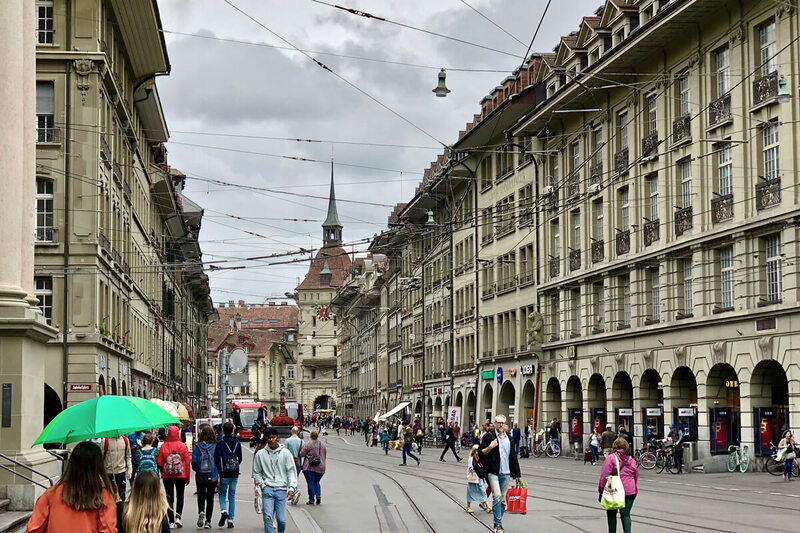 When I finally learned the truth, I decided to make it right by documenting a few things that set Bern apart from any other place. I realized that there are many different sites in Bern that provide a special vibe - a Bern vibe. Be it the old town, the unique architecture, the many museums and restaurants or the turquoise River Aare. In short, there are many things that make Bern the peculiar place that it is! I am going to focus on the top 9 things that particularly caught my attention. 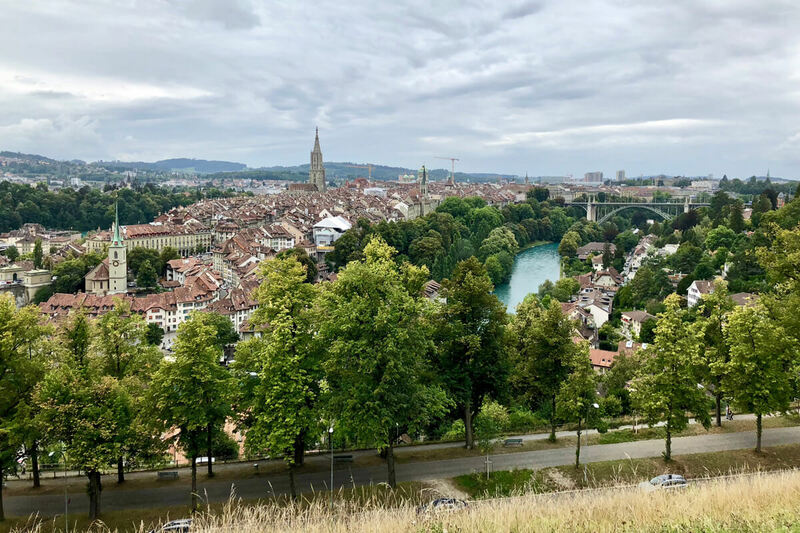 Bern is built on a peninsula and I learned to appreciate the many vantage points from locations and terraces around the city. 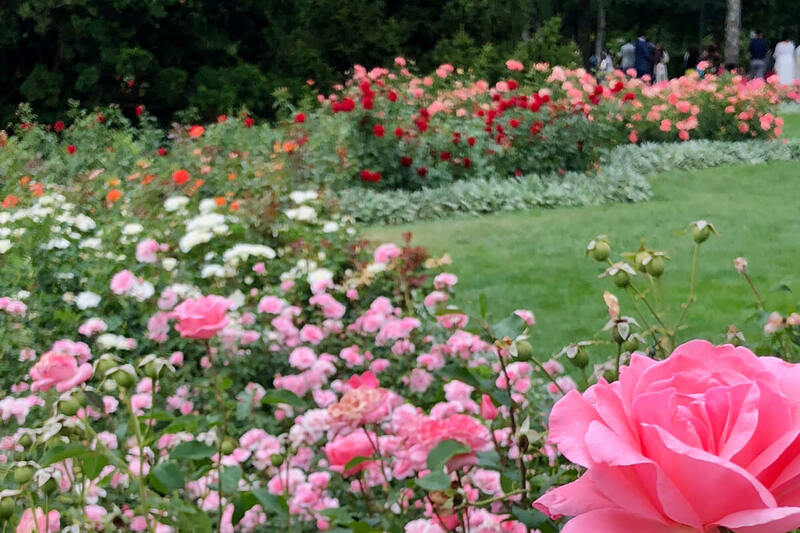 One of my favorite spots is Bern's Rose Garden. It not only serves great views (see above) but is in itself a flower paradise that is often used for photo shoots. Legend has it that Duke Berchtold V. von Zähringen named the city after the first animal that he had come across while hunting in the area. It was a bear, or "Bär" in the local Swiss German dialect. This folk tale has been dismissed by those who suggest that the city was named after Verona, an Italian town which was known as "Bearn" at the time. The bear story is easier to believe and is clearly more evident, so I go with that one. As a bonus, when you go to the Bern bear park, you will get to see three live bears: Finn, Björk and Ursina. The turquoise Aare has become part of Bern's culture. The cool waters attract people of all ages throughout summer. In fact, the real beauty of the River Aare is that it is curved around the old town. This allows for residents to swim from one part of town to another while remaining in the city center. It is not every day that a whole town is given the prestigious UNESCO World Heritage Site title. It was given to Bern in 1993, and with good reason, too. With its attached housing blocks, covered arcades and planned out alleyways, the medieval old town of Bern is simply unique in the world. 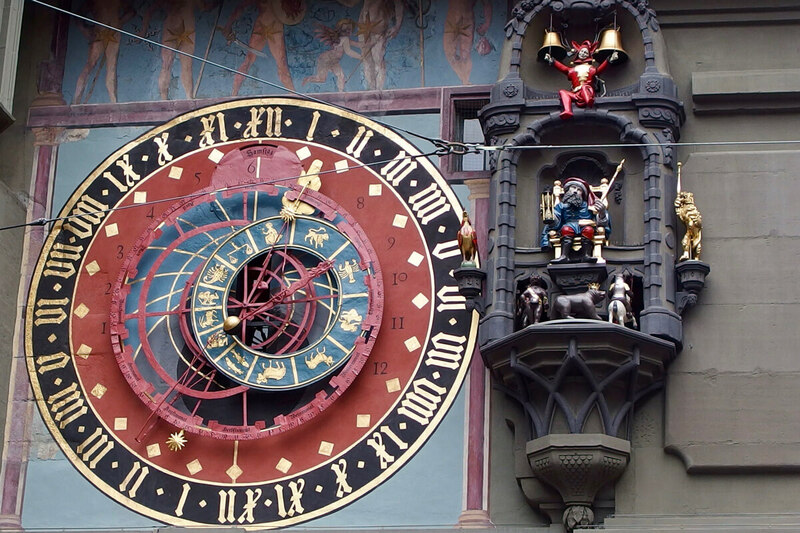 The Zytglogge clock is beyond intricate, detailed and precise when it comes to design and functions. (But then, the Swiss have always been good with watches.) I found out that it is possible to book a tour in order to explore the inside of the tower. There, you will see the age-old technology invented to make the Zytglogge’s many functions work like clockwork. At six kilometers, Bern boasts one of the longest covered shopping arcades in Europe. This impressive stretch consists of all types of boutiques, shops and restaurants one can think of. This is amazing because in Bern, the weather never gets in the way of shopping! Near the station, you will undoubtedly see Loeb. This department store can be considered a landmark almost as important as the Zytglogge! Loeb was founded in 1881 and is currently being run by the fifth generation of Loebs. Strategically located with clear views of the Aare and the parliament building ("Bundeshaus") is the Bern Youth Hostel. Here in the Marzili district near the river banks with its alternative vibes, I did not expect such a modern youth hostel. Renovated in 2016, the luxurious double rooms with own bathrooms as well as the shared rooms have a cozy feel to it. The large glass façade make this hotel picture perfect – from both inside and outside! 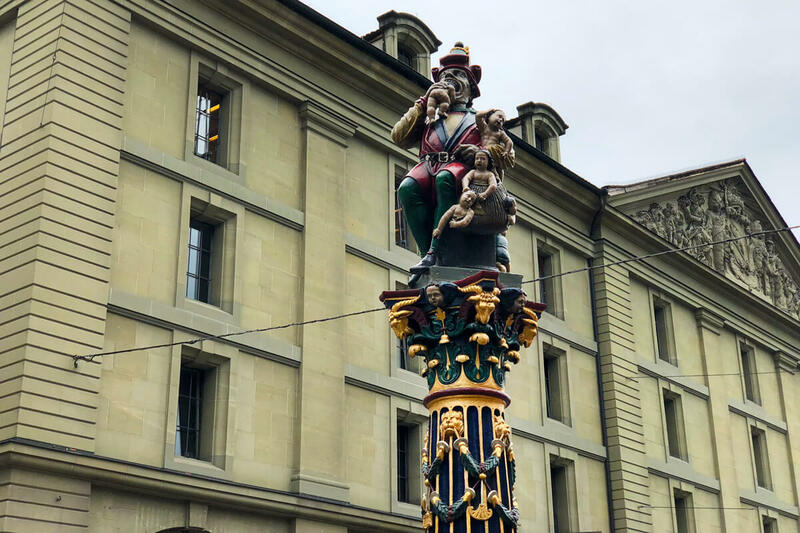 As you walk the streets of Bern’s old town, you will notice a number of ornate fountains. However, if you make a wrong turn, you might be facing one of the most intimidating fountains in the world: a child eating ogre! Not even my official tour guide has a real explanation for why the city commissioned this strange fountain. Any guesses? Needless to say, Bern is proud of Einstein and the work he did during his stay. I find it relatively cool that there are no less than four Einstein statues around Bern: at the Bear Park, the Rose Garden, the Bern Historical Museum and at the University of Bern. 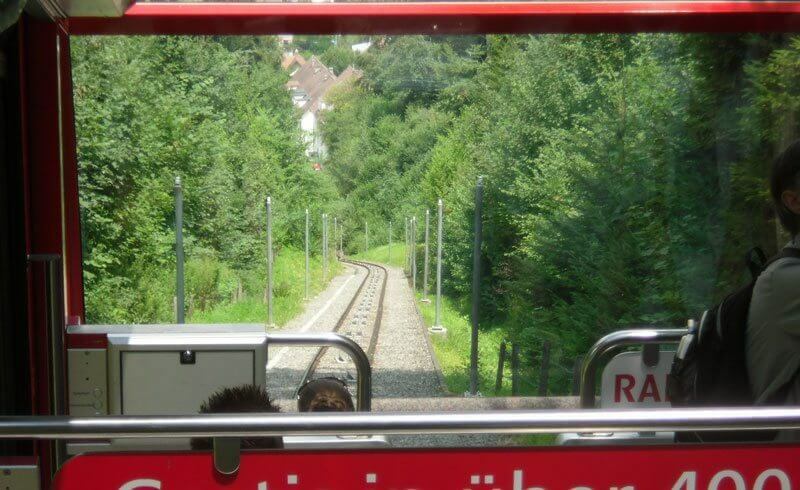 Why not hop on a tram or bus and soak in the most scenic lines of Bern? Bonus: the charming Bernese dialect!